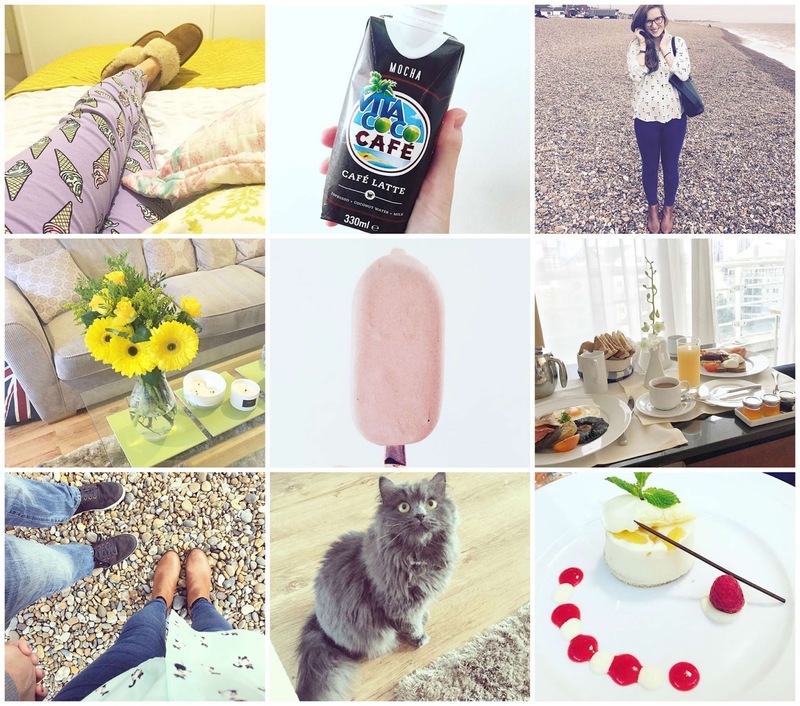 I love Instagram as a visual channel and at the moment I'm posting a couple of updates on the daily, so I thought it would be a good idea to introduce a weekly round-up post on my blog called "Weekly Instagram Snapshots" for those of you who may have missed the odd update here and there. Let's be frank - with the new algorithm in place its proving slightly difficult to keep up-to-date with all my favourite Instagrammers through the feed itself so hopefully this will help you keep on top of mine with some extra updates here and there. I'm quite in love with my new pyjamas from ASOS which are covered in ice-cream cones from top to toe - as you can see I'm not quite ready to let go of those summer vibes just yet! I've been trying out some of the Vita Coco products (*) provided by Taste PR and the mocha cafe latte with coconut water, an espresso shot and a splash of skimmed milk - super tasty! We recently stayed for a mini-break in the beautiful coastal town of Aldeburgh on Suffolk's coast, when the sun came out we took a stroll along the pebbled beach front and I stopped to take this squinty shot! Some gorgeous and bright flowers I received from Alex's mum this weekend - they headed over to ours on Sunday for dinner out and she always surprises me with a lovely bouquet of fresh blooms! On the weekend we stayed at the luxury five-star Chelsea Harbour Hotel where I was doing a review stay for Luxury Lifestyle Magazine. On Saturday morning we decided to order a room-service breakfast which was delicious, the view overlooking the marina from our suite wasn't too bad either! A naughty little kitten who is always up to mischief - she'd just run away with some cotton earbuds right before this photo was taken! I recently tried a pink magnum. It's full of raspberry goodness - I'm so glad we've finished the box otherwise I don't think I would have been able to stop snacking on these as an after-dinner treat! A yummy dessert from the weekend at Chelsea Riverside Brassiere - a white chocolate and apricot mousse! 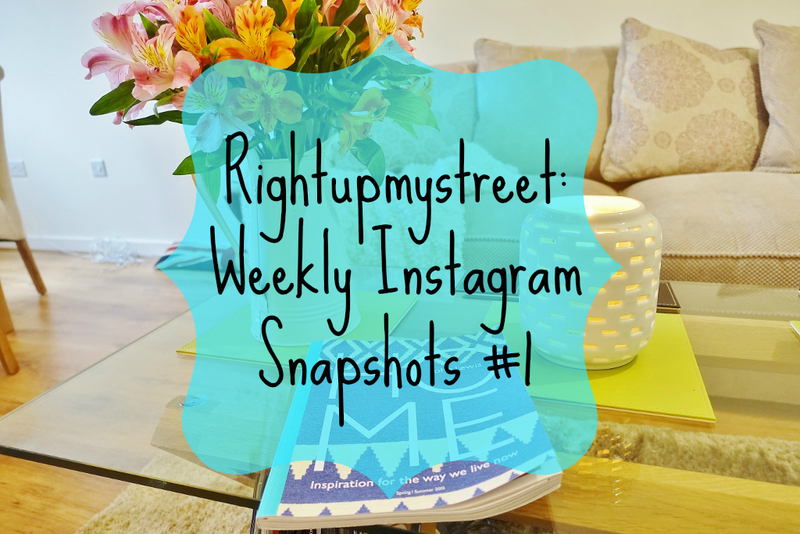 Follow me @rightupmystreet for daily Instagram updates!